We've got a new edition of the Parts Express Partners. In this edition we tell you about our new service, Same Hour Express! 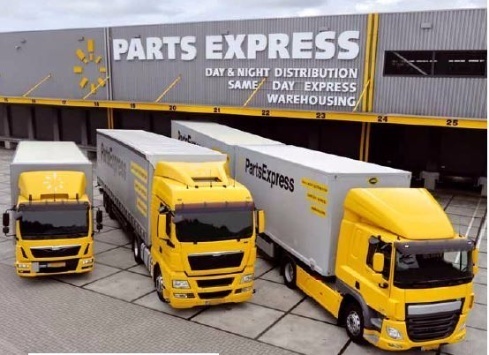 In this edition we tell why you choose for Parts Express bv. 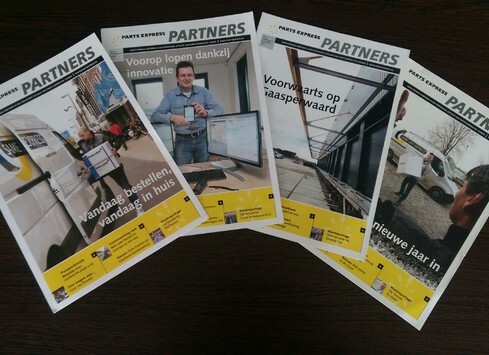 Interested in our previous editions of our magazine, the Parts Express Partners? Please send an email to info@partsexpress.nl and we will send you a digital edition by email. 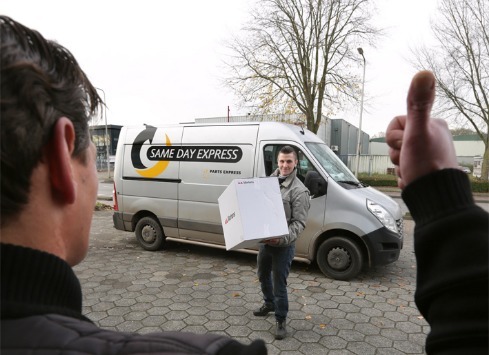 Parts Express delivers from various depots spread throughout the Netherlands and Belgium, such as those in Meppel and Mechelen. The depot in Mechelen was reorganised in 2011 – 2012. They now handle more packages per hour and the vehicles are divided more efficiently. 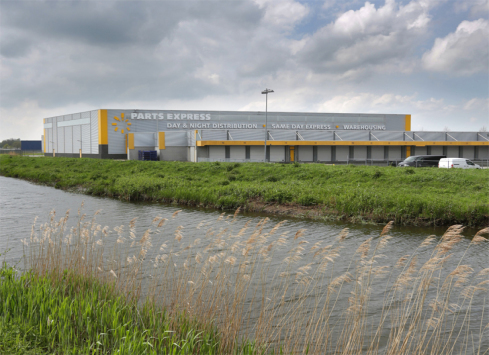 Parts Express is also introducing lots of innovations in Meppel. 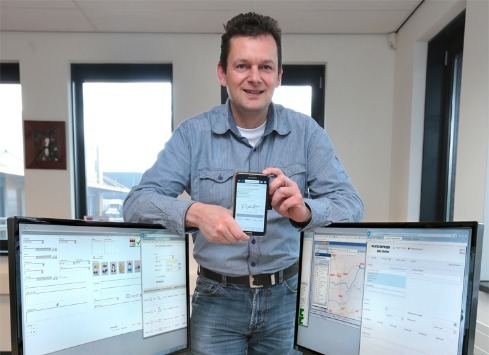 For urgent deliveries, we sign with smartphones. As a result, more and more customers are being served efficiently. Tracking orders in real-time through our own website by means of a bar code on every delivery, a new and more transparent invoicing programme and signing for receipt using smartphones. Parts Express is introducing lots of innovations and always takes customers' wishes into account wherever possible in doing so. On 25 May, Rianne van Weverwijk and Carla Angenent took part in the 2015 Climbing against MS event. 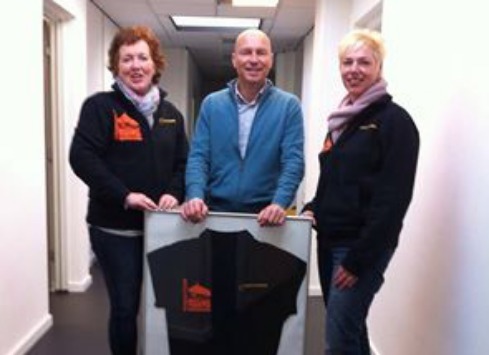 They raised money to help fight the disease MS by conquering Mont Ventoux. We wholeheartedly supported our colleagues and sponsored them with a significant donation. Thank you very much to everyone else who supported these ladies with a contribution! Around 50 percent of companies that experience a fire eventually go bankrupt, so it is important to think about fire safety. On Tuesday 10 June 2014, Transport and Logistics Netherlands organised an information session about this. It was held at the Parts Express building at Dijkleger 4 in Vianen. Participants received a tour of the building and visited the server room, which has been completely fireproofed. So not only the building but also the customer details on the server are kept safe. Would you like to stay up to date on developments at Parts Express? We are now also active on Facebook, LinkedIn and Twitter. Go to www.facebook.com/partsexpressbv, www.linkedin.com/company/parts-express-bv or @PartsExpressBV on Twitter. As the old telephone system was outdated, Parts Express has switched to a telephone connection via Voice over IP (VoIP). Phone calls will now take place over the internet instead of through analogue. This will provide increased stability. In this way, Parts Express can serve its customers faster and better. Since the start of November 2014, Parts Express has been working with a new planning system: ORTEC. 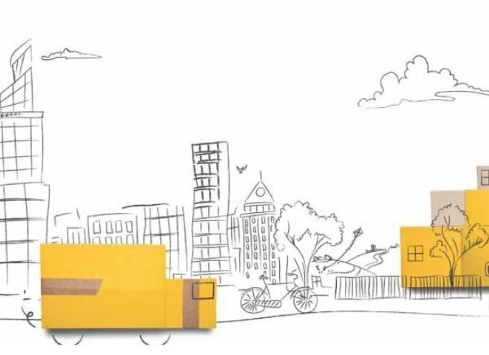 An advanced tool that helps to realise even more efficient planning and deliveries. Planners can now see where drivers are in real-time, for example. 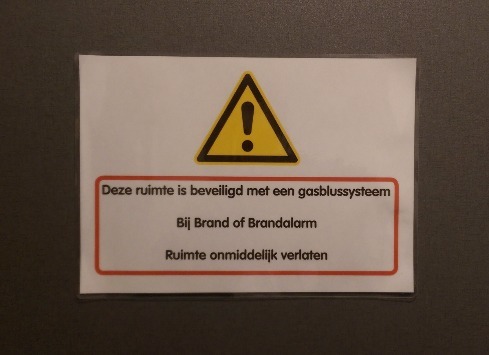 If there are problems, this is communicated to the customer. It is no longer necessary to download the BAS (Barcode Address System) software. 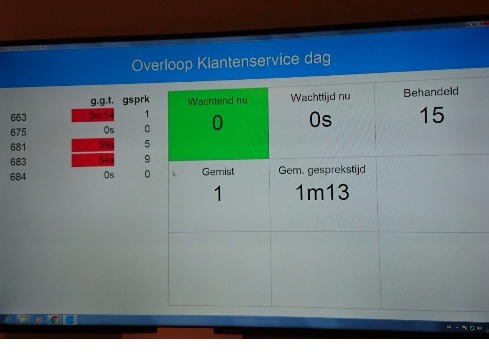 From now on, the software will be available for use online, through the cloud. 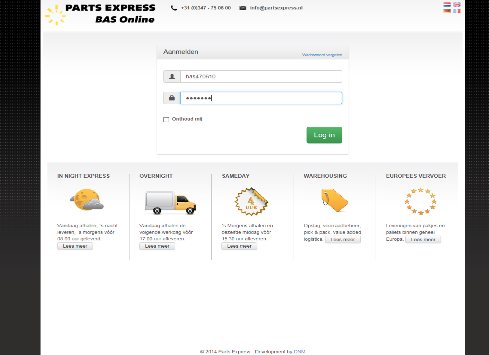 This makes it much easier to place orders for Parts Express, since BAS online can be used from any device. Even if you are not at the office. Connection to a printer is required for the labels and delivery lists, however.